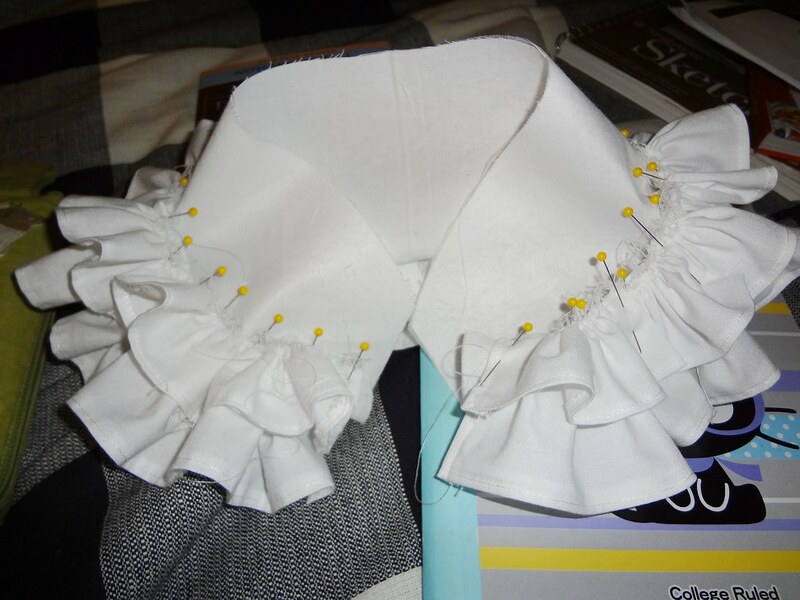 OK, the collar itself was as thick as a pancake when I sewed it all together. It was THICK. 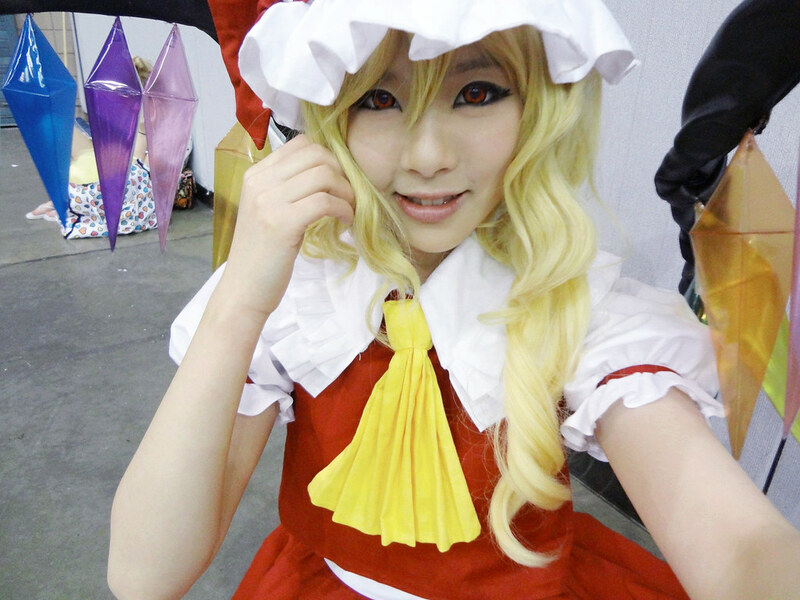 But it turned out nicely~ Gotta do the sleeves now. And off to class I go. I’ve been dealing with the collar the whole day and it’s been aggravating me since I couldn’t get it right. I finally got it right. 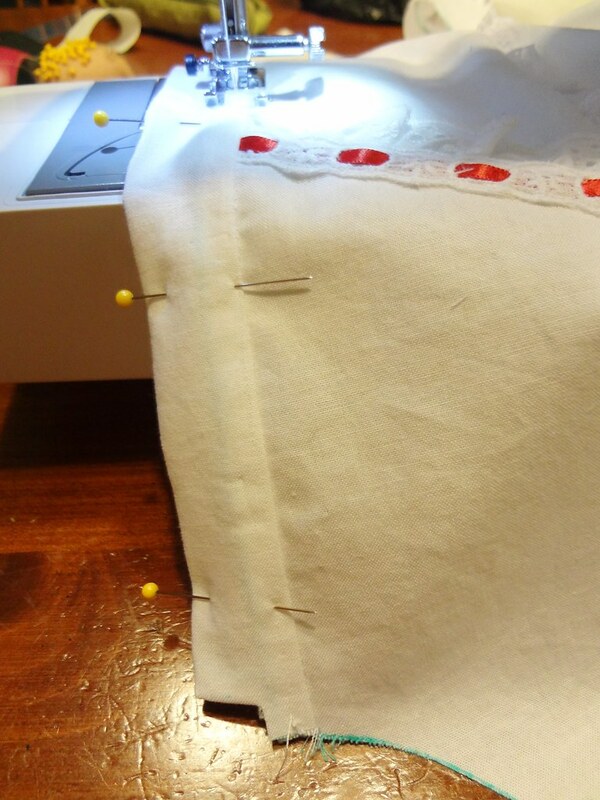 I’ll sew it together tomorrow, for now I just pinned it. 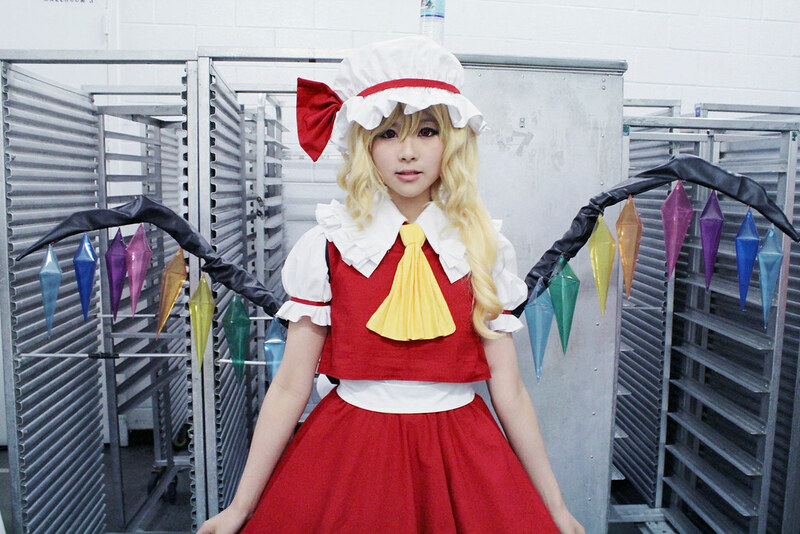 IT’S SO FRILLY. o.o A lot more than I intended it to be, but all good. 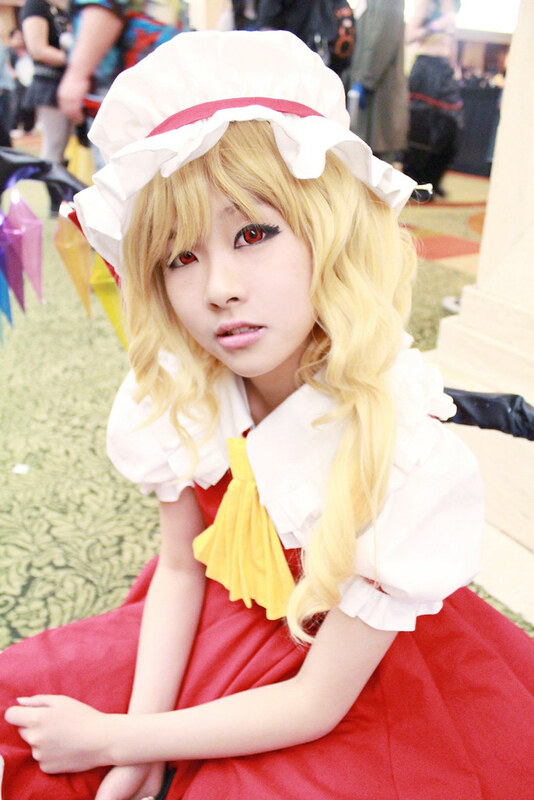 It’s been a while since I’ve updated my sewing progress on my Flandre cosplay. 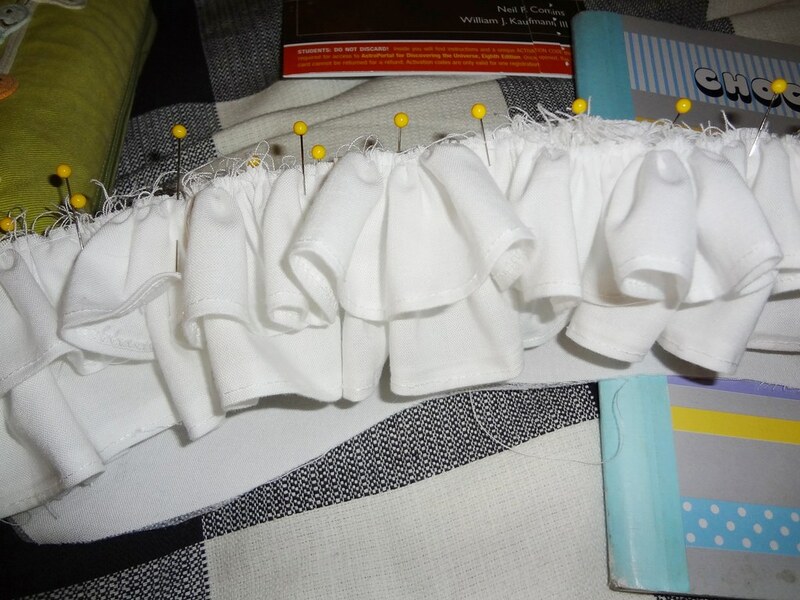 Well as you know, I’m working on the blouse right now. I decided to make a more complicated version of the blouse so I could wear it on other occasions rather than just for that cosplay. 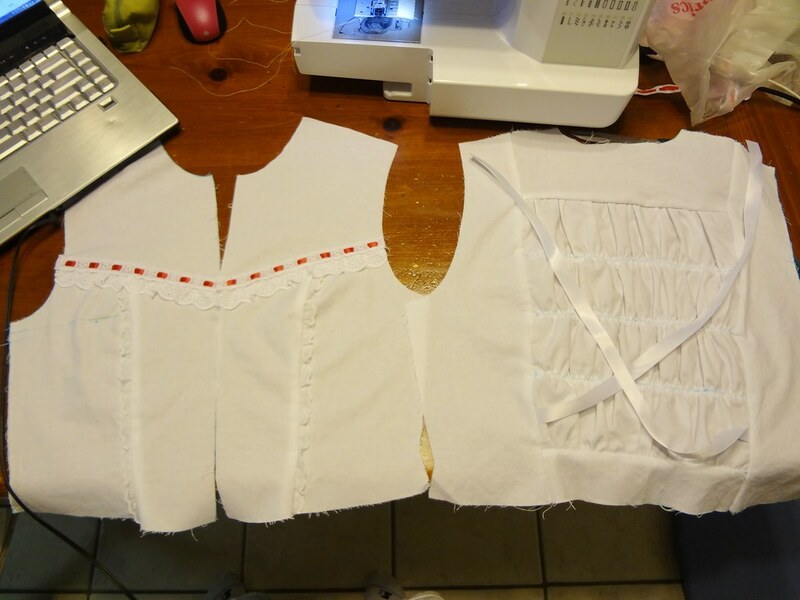 I’ve done the shirring on the back piece so I started working on the two front pieces. I bought some lace and ribbon for this to put on the front, and I have to say I like how it looks. 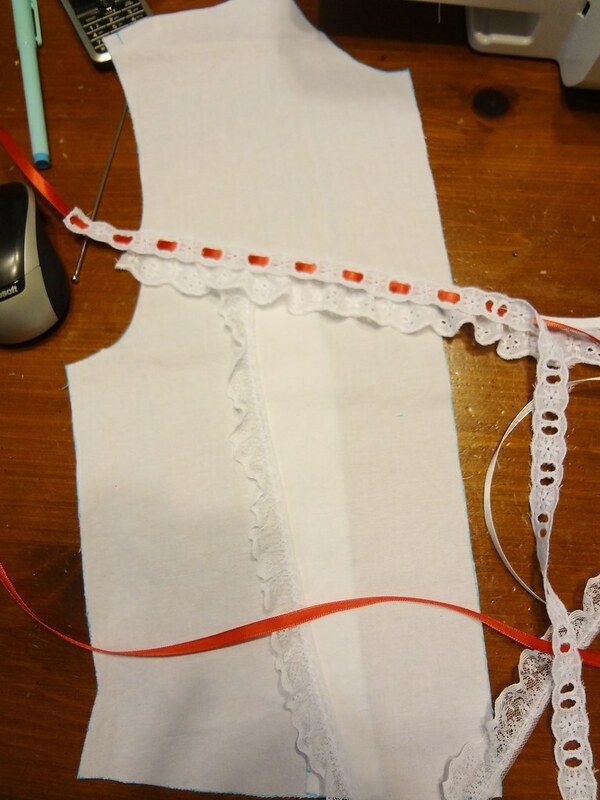 I only laid the pieces out on the fabric to get a general idea of what it’ll look like in the picture above. 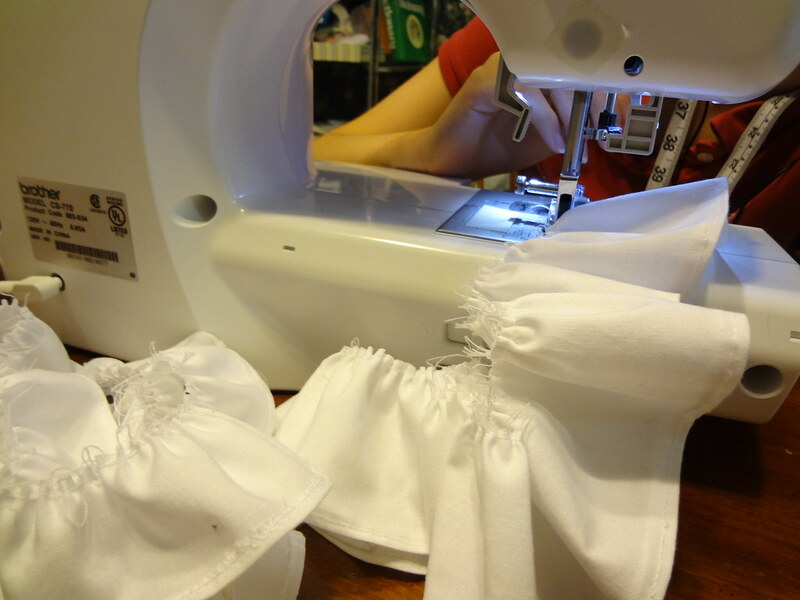 But I went ahead and sewed it all up. 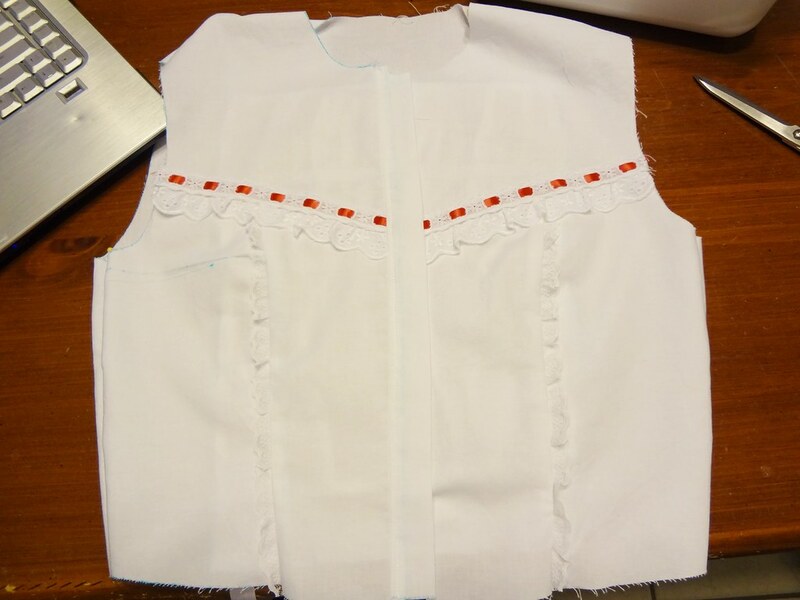 Went ahead and sewn on the piece for where the buttons and button holes will go. 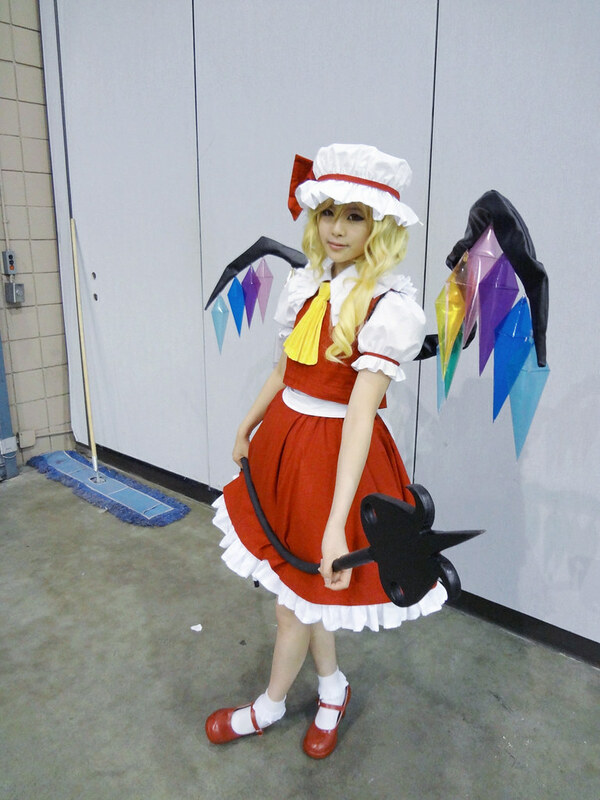 AND Ta-da~ The body of the outfit is done. 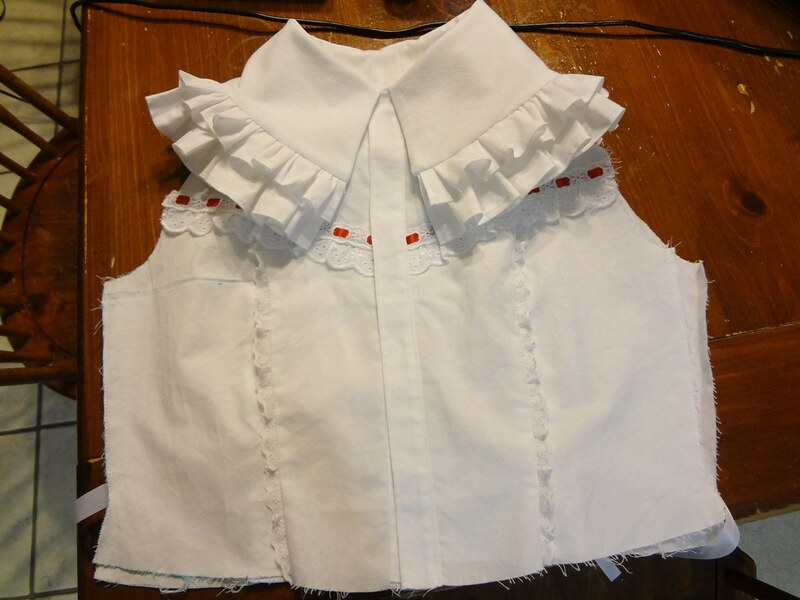 Now I have to make the collar, sleeves, and I’ll be putting two tiers of ruffles on the bottom of the blouse.